We utilize a multi-faceted approach to the market and present your home to potential buyers in order to sell your home for the best price in the shortest amount of time. 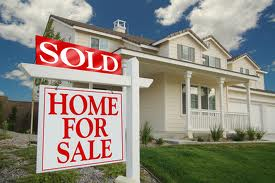 One of the most important areas that we focus our efforts in is online marketing and presentation of all listings. Statistics show that more than 80% of all homebuyers begin their search on the internet. It’s for that reason that each listing is marketing on more than 34 different websites ranging from MLS to Realtor.com, to Zillow.com, to Trulia.com and many more. All our listings are photographed with the latest equipment so that every important detail about your home is highlighted. Each photograph bears testimony to the professional quality of the equipment used. Each listing also received a virtual tour that is broadcast across the same 34 websites in order to maximize a potential buyer’s experience. Before potential buyers enter your door, our team will have created a winning image of your home through high-quality photos and advertisement. This will, in turn, produce high-quality buyers that will, in turn, cut down on showing and sell your home faster, all at the same time. Our team offers its clients the cutting edge in market strategies through a proven process that includes the exposure of your property to the real estate marketplace through a unique and comprehensive marketing and advertising program. Develop a targeted marketing campaign that maximizes your home’s value. Tour your property from the buyer’s standpoint. Respond to buyer questions about the property. Negotiate on your behalf with agents and potential buyers. What you’ll find is that our team takes great pride in providing exceptional customer service. Our team will not only be with you every step of the way but we’re always accessible, no matter where we are or when it is. Communication is extremely important to us, so all customers receive weekly updates so that they’re informed on what’s being done to sell their home. We assure you that you’ll always be informed and that you’ll always be able to reach us when you need us. In addition, our service doesn’t end when you purchase or sell your home. We promise to be there for all your real estate needs, whether before, during or after the close of your home. Whether it’s helping you with your homestead exemption, connecting utilities, or coordinating contractors, we’ll always be there. By working in this manner, we hope to earn the right to be your Realtors For Life! !